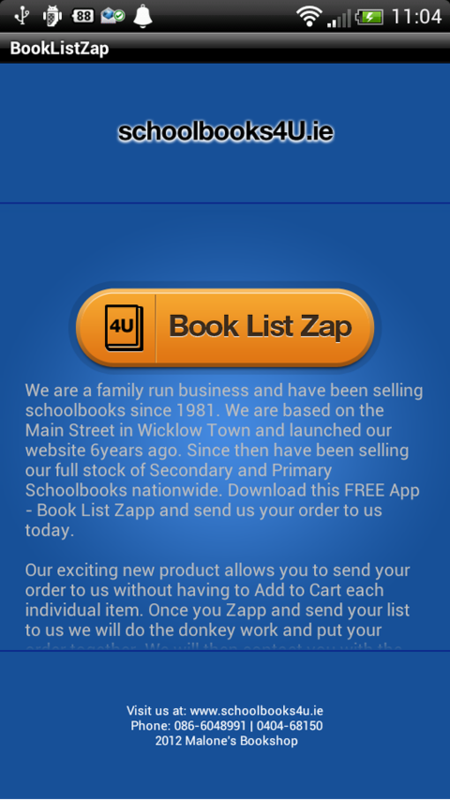 Book List Zap is our exciting new product that allows you to send your order (photo of your book list) to us without having to “Add to Cart” each individual item. 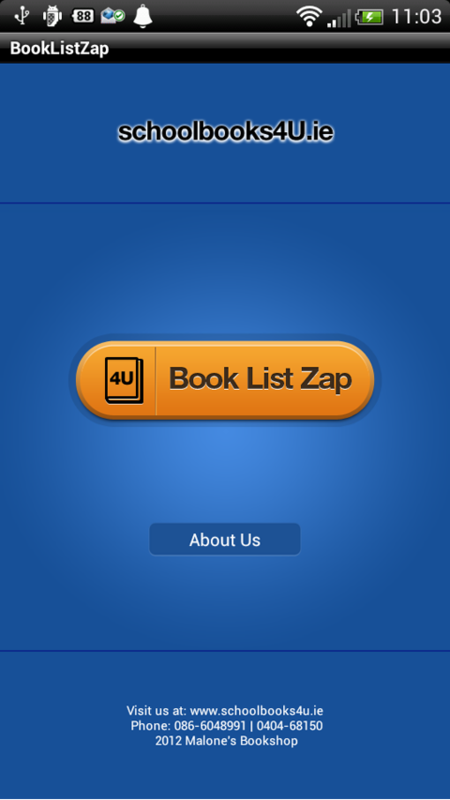 Once you “Zapp” and send your list to us from within the app, we will do the donkey work and put your order together. We will then contact you with the total cost. Our special offers will still apply to you, and payments are made securely through Realex. More info @ www.booklistzap.ie. 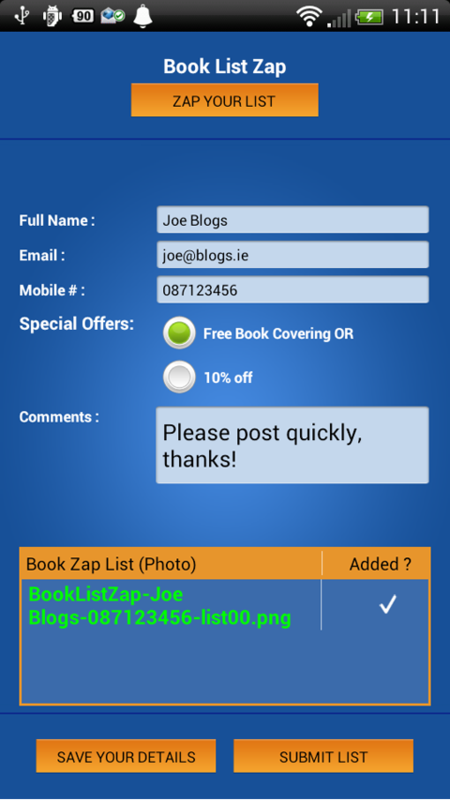 App Name: Book List Zap Android App. Client Name: Malone Books Limited.